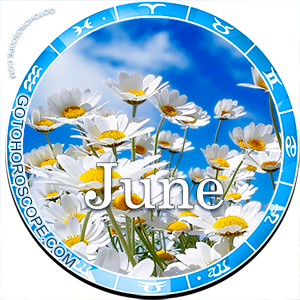 June 2015 Horoscope Pisces, free Monthly Horoscope for June 2015 and Pisces Astrology Forecast for the month ahead. The zodiac sign of Pisces, the representative of the mutable cross of the Water trigon, will feel a powerful, but a varying influence of several high-energy celestial bodies in June 2015. First, this concerns Jupiter and Venus. Jupiter, which in its usual position is the planet-ruler of the Pisces sign, will maintain his classic status during this month, however, positive emanations will be replaced by negative ones - powerful enough to fully destabilize the financial side of the representatives of this sign. On the other side, Venus, due to some general active combinations, will receive powerful energetic support and by being the planet-exalt of Pisces will become an ally of this sign. However, as it is not hard to guess, the positive energy of Venus will focus on the sphere of feelings and emotions. In the end, it appears that two powerful planets will influence the lives of Pisces this month, which are luckily not antagonists and so will not enter into conflict with each other, especially since their influence will focus on separate areas of life. The energy of Mercury, responsible for the expulsion of Pisces, will be vividly negative, but comparing to Jupiter that influence will be almost negligible. 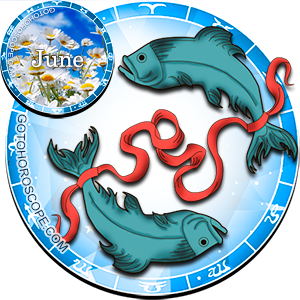 This way, the direction of work will not bring the Pisces any positive moments in June 2015 and the representatives of this sign will have to try very hard to maintain their current positions. First, pay attention to those around you, to those with whom you have to work with. By the dawn of the first ten-day period you will already be able to discern who will be a source of problems and who will be at least neutral to you. This division does not mean anything in itself just yet, since in the future you will have to right and fight hard in a battle that will most likely end in your utter defeat. However, the warlords of the ancient times said that any defeat can turn into a victory! What should you do? Just trick your opponent, pretend that you lost and do not have the ability to get up to return fire. It important to understand that your enemy right now are not some abstract circumstances, but specific people. These are your colleagues, business partners, or maybe bosses. Their status does not have a meaning comparing to the fact of how you will act in such a non-trivial situation and how quickly will you be able to mobilize your forces. 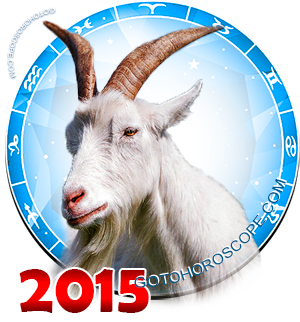 The love front in June 2015 will be a total opposite of the Pisces' work direction. Nobody will be characterized by a radical change of how they view you or interact with you. However, the circumstances will change - and they will change in your favour. In this month risking will indeed be a noble deed, since everything will happen exactly the way you need it to. Of course, we do not at all imply that you should swim down the stream following the flow, with no regard to tactics or planning. On the contrary, currently you should be especially attentive in your relationship with your lover and friends. You should be especially wise, that way you will have a double advantage - not just luck, but also calculated strategy. It would be logical to assume that such a combination may bring you easy victory in almost any situation. Do not forget about that, but reach your goals and consider the wishes of other people, otherwise you will lose. it's been the worst month I have ever lived. I feel like the end of the month is where it's all good the beginning seems really sucky though. Focus on the good stuff! Worst year and month it seems...where is god.. The horoscope is quite correct . I have been in hell this month . I have been in so muc problem in my work life and in social life . Am I the only one who hasn't had a tough time this year? Like its been ordinary, average but not tough at all! I'm scared I might be headed for muddy waters! The month of May and June has been so bad. I have been in complete trauma. I was cheated on by the love of my life and this horoscope isn't too good either. So much for being devoted and good. This year has been a nightmare thru and thru, ready to have some light time now, don't know where to turn or who to trust. I thought May was the worst,but here comes the real thing.I know I'll have problems with my dad and the rest of the family.He'll cut me off financially but i'll power thru...as long as all these will end with the manifestation of my dreams.I just want to live life colossal.I want to be a millionaire before I'm 30...i'm now 22... so u see my life has been nothing close to 'normal',they call me a weirdo n when i try to explain my ways,my ethics come to no avail.But atleast this month has been full of enlightenment and corrections. Is it just me, or was there nothing actually positive about this horoscope? Just negative negative negative, then a little positive, but that doesn't matter because the end result is NEGATIVE. Bah... never coming here again. if we think negative , the result will be negative. Sounds like crap in my case for the love part. See my girl left the country and works abroad, then i was too overwhelming for her and i decided to ditch her ...problem is i have booked a trip to her before we broke up...This is gonna be crap to try to enjoy a staring contest with a minimum of conversation. Awkward it is ... oh well .. Lets enjoy the trip and pretend there was nothing between us wahahahah like every rooster would say. SOUNDS QUAGMIRY, AFTER-ALL, WE'RE THE KINGS & QUEENS OF QUAGMIRE, WE'LL MUDDLE THRU.